I did a product survey yesterday. I do a lot of them. 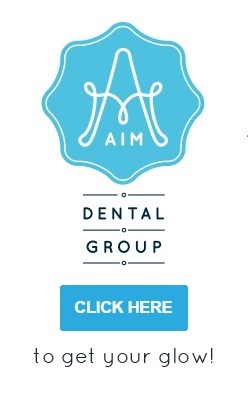 I'm not talking about the cool Bloggy things, I mean the focus group type surveys. Aunty Penny works in marketing so whenever these things come around in my inbox I think about how some poor schmuck has gone to so much effort to put this survey together, and I feel a bit sorry for them. What if no one fills out their survey? What if they get fired because of that? It would be my fault, since the world revolves around me and all. So I take a few minutes to fill it out. I also do the phone surveys that "only take two minutes" that actually take ten minutes. You can look me up in the phonebook under "Sucker". Though telemarketers are a different story; I'm never ever rude to them, since I was one, but dude, do NOT call me during dinner and then get huffy when I say no thank you. That is a one way ticket to phone slammage. It's a word, trust me. Yesterday's survey was about a new shower gel. It asked me how exciting the product was. Um, excuse me? Exciting? No. It's shower gel. I don't get in the shower, turn to see my shower gel then shout out whoopeeeeeee just because I've seen that it's some new organic crap in a fancy pants recycled hemp bottle with added essential oils. It's just shower gel. d) Dude, it's shower gel. Put an elephant in the bottle and then I'll be impressed. d) Dude, it's shower gel. If I've run out, it's on special and cheaper than everything else I will buy it. 3. Which of these phrases describes how new and different you think this product is compared to what is available? d) Dude, it's shower gel, it's not new or different at all. A funny shaped bottle doesn't make you cool. 4. How relevant is this super duper shower gel to your house hold? d) Dude, it's shower gel. I shower, therefore it's gotta be a bit relevant, right? There you have it, marketing gurus. You can send your cheques to me now! Are you a sucker? Do you do marketing surveys? 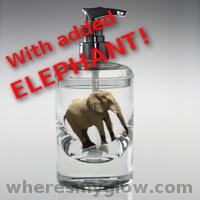 Do you want elephants in your shower gel? No elephants were harmed in the making of this post. I would possibly buy bottled elephants. Lol. Do I do marketing surverys? Yes, see previous answer. Do I want elephants in my shower gel? Will they be soap free elephants? I avoid soap as I find it too drying 'ahem' and it means you need to clean your shower more often! I usually avoid this kind of stuff.... but an elephant in shower gel? That I'd pay for. As long as it was a cruelty free elephant, derived from natural organic jojoba beans, or some such thing - but not palm oil, obviously. And was fragrance free. And non-allergenic. It's funny what words we add to random things. I always use elephants as well. My partner uses 'a wheel of cheese'. Know what you mean about the surveys, I take them occasionally too. I get annoyed when the questions are 'how innovative do you find our elephant body wash?' and the weirdest question I've ever had was after getting a sampler of a new type of cat food for my cat 'on a scale of 1 - 5, how tasty were the dry cat biscuits?' Uhhhhhhhhh. I thought they were for the cat? I don't know about you, but I always taste the cat food. Wouldn't want to give them anything I wouldn't eat myself, would I? Please know that I'm joking. Only my kids eat the cat food. I hardly ever do market surveys. Couldn't be arsed, really. As for shower gel, I go for whatever is cheap, comes in the biggest bottle so I don't have to buy another one for a while, and is one hubby and I can both use so I don't have to bother with getting two. I'm all about convenience (comes from not being arsed to do anything more than necessary. Especially regarding the grocery shopping). Answers: d,d,d,d. That would be if I used shower gel or even did surveys. I like soap. MPS is the survey sucker. I said yes to a book of raffle tickets once. Don't do that. Trust me. Fuckers. And you need to bring out a line of 'Dude it is just shower gel' shower gels. I would totally buy it. yes I do surveys. I used to do them all the time but I set up a folder and an email rule so that I could be more organised. But what actually happened is that I just forgot to ever open the folder which is why the folder marked "surveys to do" has 76 unread emails. I like it when I do a survey which asks for opinions on slogans and packaging and then I see that product on the shelves and I think "ahh they took my suggestion" (of course, just mine not the thousands that agreed) or I think "what? I said that slogan was least likely to make me buy it!" ...as I put it into my trolley.. I was also a telemarketer and the universe makes sure that those of us that were telemarketers get more calls that others. Even if you put your number on the do not call register. Karma will call you at tea time and try to sell you a security system. or timeshare. Oh by the way. I find shower gel exciting. But I don't get out much. Ralph Wiggum: My cat's breath smells like cat food! Kellie Heitman: My kid's breath smells like cat food! I think the frugal gene is strong in me. Also the lazy gene. I am definitely going to create a line of 'Dude it's just' products. It will be like the cool version of You'll Love Coles but I will make EVERYTHING. Dude it's just spaghetti, Dude it's just milk, Dude it's just the contraceptive pill... errr. Hilarious!! I used to do phone surveys so I am right under your name for Sucker in the phone book. Love the post! Good to know I've got company, Melanie!